It's World Animal Day and authors Terri Giuliano Long and David Brown are hosting a hop. You know I'm a big animal fan. I have 2 cats and 2 dogs. I would have more, but I need another 2 legged household member first to balance things out. I used to work as a zoo keeper and my graduate studies were all about endangered species and recovering the Florida panther. So naturally, I thought I should participate. For as much as I am an animal person (or perhaps it is because I am such an animal person) I do not like to read about animals. Books with animals are always sad. I don't think I ever even read the Velveteen Rabbit. Therefore, it's a bit ironic that my favorite books for October (I know October just started but the books are that good I know nothing else I read this month will top them) has animals in semi-leading roles. First up is the hilarious Further Confessions of a Slightly Neurotic Hitwoman (available Oct. 16). When I read the first book in the series, I was all about God (short for Godzilla, the little anole lizard). I even did a couple of posts dedicated to him. However, in this second installment I have to say Doomsday stole my heart. If I glimpsed her name on the page I knew I need to take a deep breath because I would be laughing so hard at the end of the scene I couldn't breathe. Did I mention Doomsday is a doberman? She has a squeaky high pitched voice and when she bears her teeth she isn't trying to be tough; that's how she smiles. How do I know this? Check out my review and then pick up the books for yourself. My favorite series (after reading this last installment I think it has knocked Harry Potter out of the top spot) is an epic fantasy and has many creatures. There are also a set of animals that are paired with each of the main characters. I guess they are kind of like familiars (I can't remember if that is how they are referred to in The Six or not). Outside of a mention here or there these animals (a horse, lion, badger, song bird, owl, and fox) haven't really played much of a part in The Gateawway Chronicles. 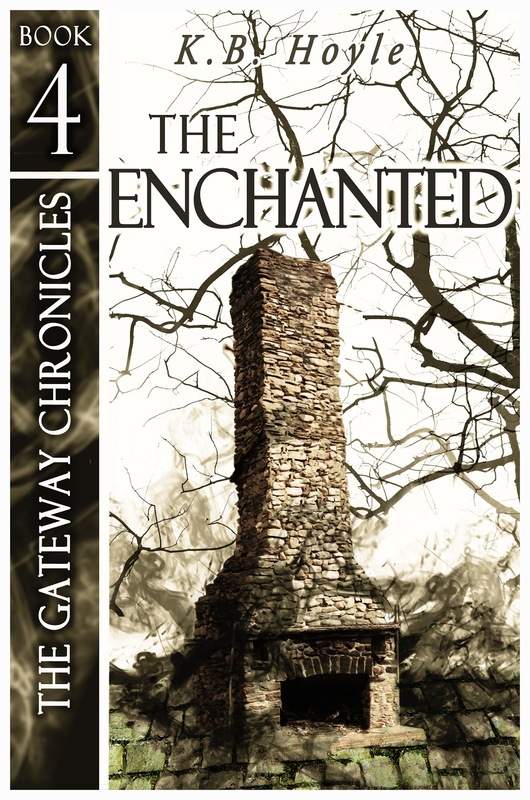 I just finished the fourth book, The Enchanted (available Oct. 18; read my review) and the animals have a much bigger role. It was interesting to see them interact with the characters and wonder if they will be more prevalent through the rest of the story (to be honest I had all but forgotten them). I'm sooo glad you liked Doomsday. She's a riot to write!! I missed the arc for Hitwoman! Did you check Edelweiss? That's where I got mine from the publisher. I don't really know how to use that site so don't ask me how your request it (the publisher sent me a pre-approved link). Loved Hitwoman.! So fun that I didn't want it to be over. Can't wait for the second. I have it on preorder. I loved the Velveteen Rabbit Donna. I admit is was sad but well worth reading. Thanks for sharing. I understand you not wanting to read sad stories about animals. I do love Watership Down and Richard Adams' other novel, Plague Dogs, but both are incredibly sad. Thanks for taking part in the blog hop, Donna. Thank you so much for taking part in the hop, Donna! I don't blame you in the least for not wanting anything bad to befall the animals. I would feel exactly the same! Happy World Animal Day! Why are animals so dang sad? Sure, we live longer than animals, but there's no need for this! I sincerely hope that J. B. :Lynn and K. B. Hoyle listen to your warning, because I'm going to have to pick up those books now myself. I know what you mean! I hate sad animal stories - even though it's ultimately happy, the part of The Subtle Knife where Lyra has to leave her daemon almost killed me!!! I usually dislike sad animals stories a well especially when they loose their best friend! Wow, that had to be a great experience studying the Florida panther and working as a zoo keeper! I am a huge animal person too but I hate to read books or watch movies with animals too since they always make me cry. I will look up the books - thanks.